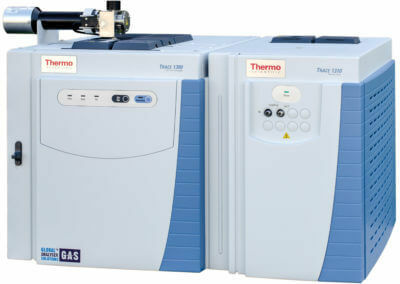 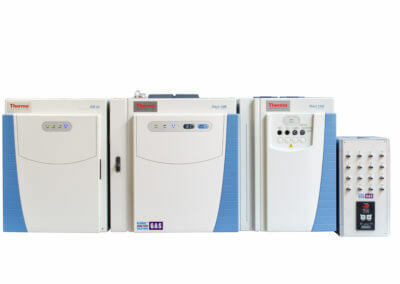 GAS analysers are based on Thermo Trace 1300 GC and GAS CompactGC4.0. 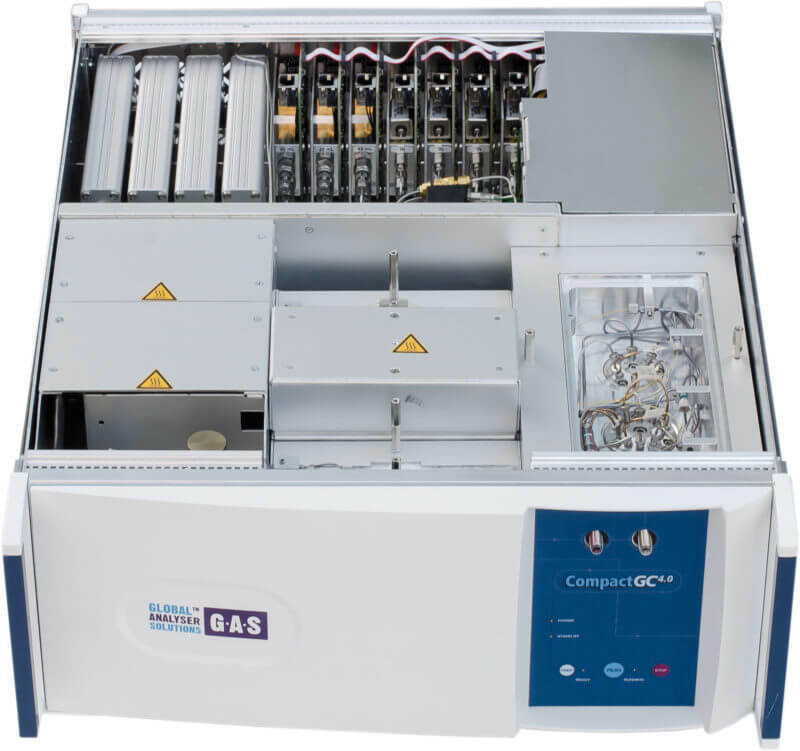 Both GC platforms offer up to 4 independent analysis channels; each channel has its own detector. 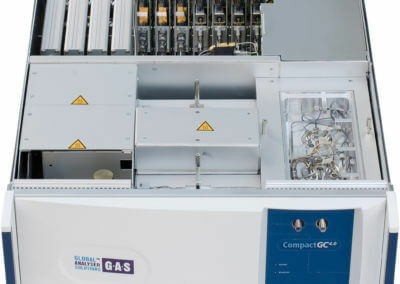 A large number of components at different concentration levels are analysed simultaneous in this way. 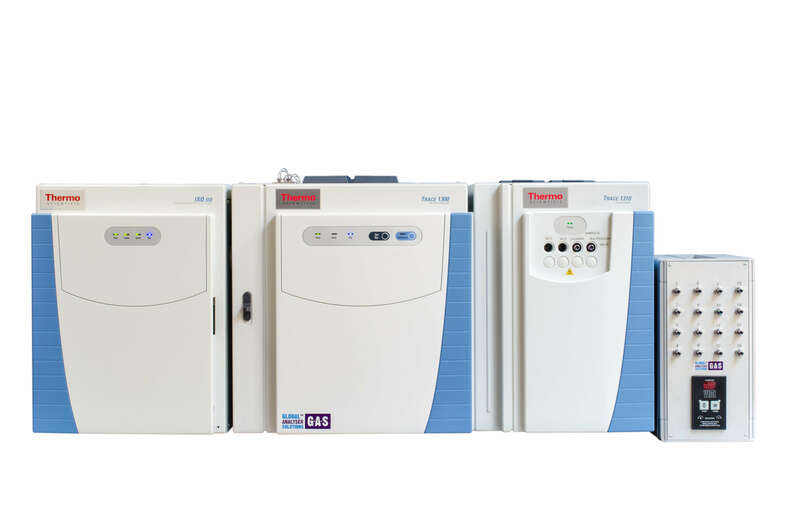 Available detectors are FID, TCD, PDD, PFPD, FPD, NPD, ECD, PED, Quadrupole MS, TOF MS, Triplequad MS, Orbitrap and Syft MS.